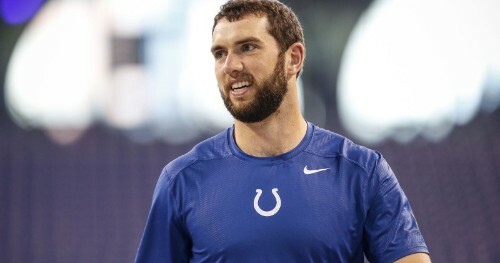 Andrew Luck is a very talented player and he had yet another good week, putting up his fourth consecutive week with more than 20 points on DK last time out against Buffalo (who didn’t exactly force him to put the ball in the air), and this week he is visiting Oakland. I’m a Raiders fan and I will be the first to fire up Luck, especially at $6,300. 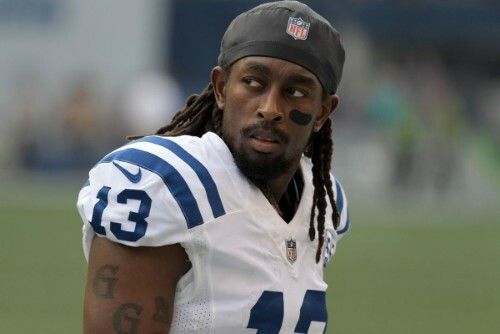 He’s also a great stack with T.Y Hilton depending on where you want to spend your money. 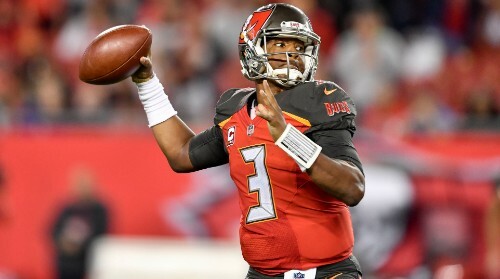 You can pretty much rely on Jameis to throw it at least 40 times in any game which is competitive, particularly when his defense is under pressure from a respectable offense like the Bengals. The Cincinnati side will be putting points up and that’s what will force Winston to sling the ball – and with his group of receivers he can do some real damage. Last week he didn’t even throw a TD, and yet he still put up 26 points, so I think he’s proven he can get the ball downfield, and if he hits the end zone it’ll be even better, and he only costs $6,000. 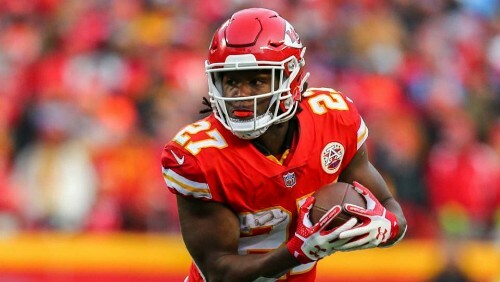 Now I have to preface this pick by making it clear that I personally want to get at least 2 of Todd Gurley, James Conner and Kareem Hunt in my team for the week; however not everyone sets their team up the same way and if you want to try and save some more money to spend up on receivers, the Chiefs bell cow is by far the cheapest at $7,100 (Gurley is $9,800 and Conner is $7,500) and so he’s definitely worthy of a start. I like all three, and when you’re putting your lineup together you can decide which you can build around but recommend Hunt because he’s so underpriced. 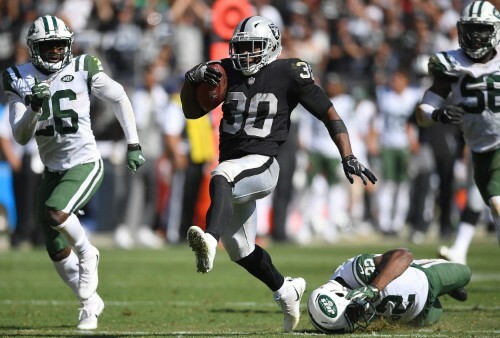 If you play redraft fantasy I hope you already know who this is, but this isn’t a Raiders bias – Jalen Richard has a very good situation setting itself up right now, and at $4,200 this might be the cheapest his prices will be for the whole rest of the season. Marshawn Lynch’s carries won’t all go to Doug Martin and, more importantly, Amari Cooper’s targets won’t all go to receivers. Richard was already relevant in PPR fantasy [as is used in DraftKings] but now he has the chance to elevate to an every-week start, from this weekend. 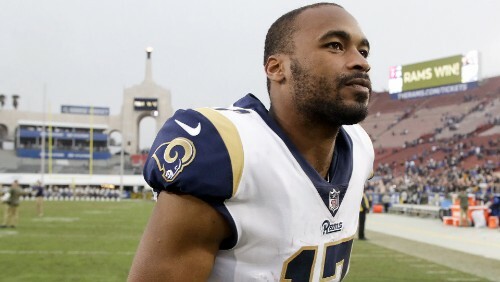 The Rams offense is so damn good that it’s managed to conceal the sheer dominance of Robert Woods in fantasy so far this season. Woods has only scored 3 Touchdowns, but he is an absolute animal for yardage, with 602 yards off 41 receptions (from 58 targets). His yards per reception is just the tip of the iceberg. Last week he had a “bad” game, and that was 13 fantasy points in PPR, which means even on the lowest he’s had since week one, he puts up a very serviceable floor of points, whilst having the upside which he showed on multiple occasions for the 20+ point range. Yet another player who has gone under the radar, Sanders is currently the number three Wide Receiver in fantasy (in PPR) – yep, three. The price that you pay for him, is just nowhere near as high as it should be – at only $6,500. 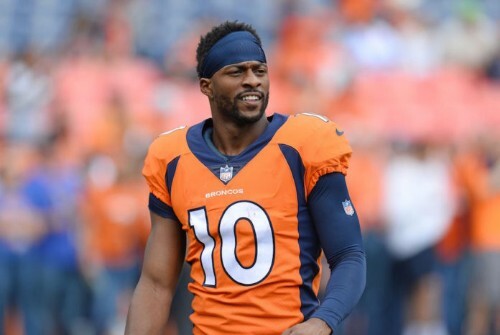 People haven’t necessarily realised how good he actually is; so I’m here to tell you he is really damn good, and this might even be his last week in Denver, so I would want to make sure I cash in on this perfect matchup with divisional rivals, Kansas City. After the brief two-week hiatus due to injury, the Colts star-receiver returned against Buffalo last week with 2 Touchdowns. Obviously those two scores vastly increased his fantasy potency last week, but if he’s going to score on half of your receptions I won’t complain. This weekend the Raiders are hosting Hilton, and for $6,300 you can invest in him murdering the weak secondary Oakland’s rebuilding roster. When Jameis Slings It, He Slings it at O.J. This is the only Tight End I’m personally putting in my team this weekend, he’s a beast. At $3,900 you can get a Tight End who has scored double-digit points in four separate games and has had 8 or more targets twice. 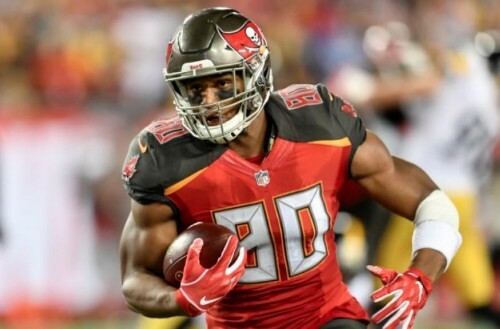 Howard has those games, but you don’t have to break the bank, and as I mentioned I think Winston is going to be putting the ball in the air this week, and if Howard bags his third TD of the year that’s another boost to his score. When he has a good game, you can win on his back. 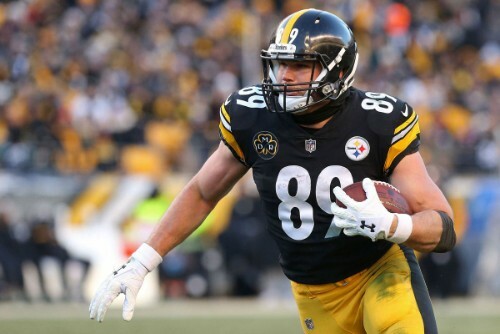 This isn’t just a pick of Vance McDonald as a player, (and you can do the same with Howard or C.J Uzomah in that game too) but this is me urging you not to waste money on a Tight End this week. Travis Kelce is amazing, and we know that, but the running backs are so split this week, there’s the cream of the crop and then the gap back is huge, so I am spending up at the top and then spending as little as physically possible on the TE and Defense to fund that. McDonald is my second choice at the position behind Howard, as he has the potential to hit on a big game, but at just $3,700 he doesn’t have to for you to make your money this week. This week it’s easy. The Pittsburgh Steelers. Don’t read the rest of this paragraph. They’re only $2,300 and they’re against Cleveland. I don’t know how, I don’t know why, but it’s easy. When you look at the options for defenses you actually have to scroll down to even find the Steelers D, they’ve completely mispriced them and they are just an easy decision. Use Pittsburgh – they’ll get 5+ sacks and they might even get an interception, whilst you can now spend an extra $1,800 than someone who paid up for the Bears.